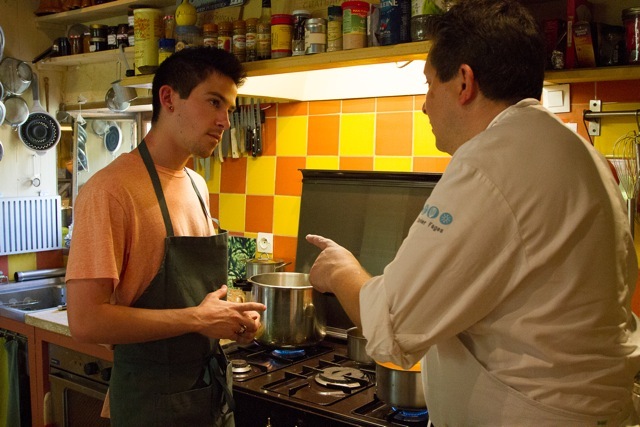 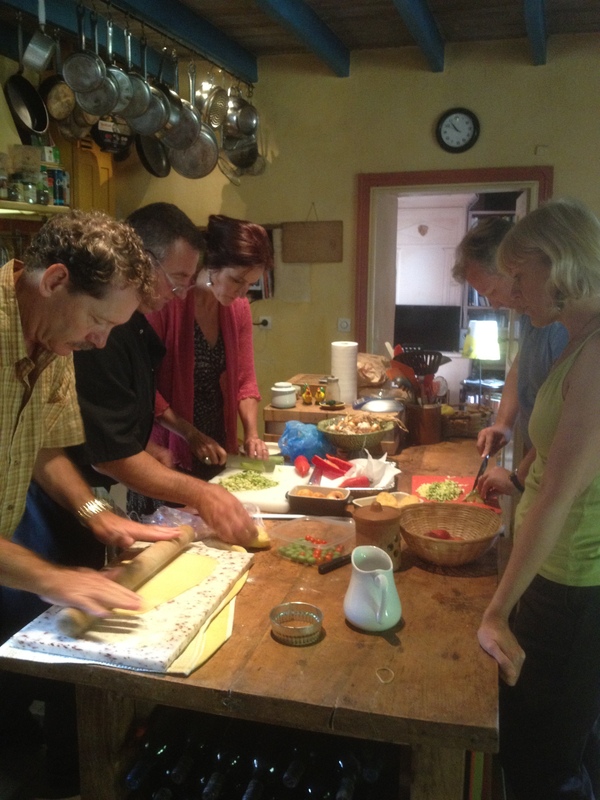 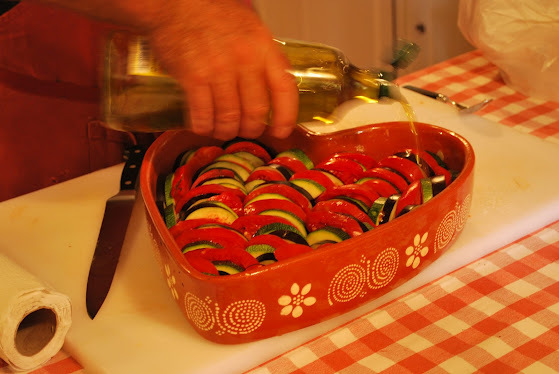 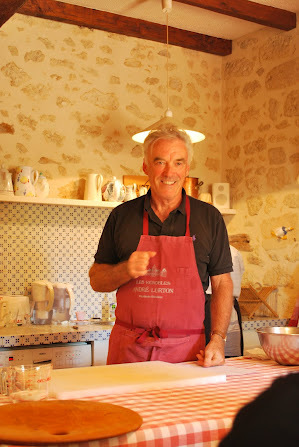 Hands on cooking classes with their own chef in a private kitchen is often what our guests look forward to when they come to La Forge. 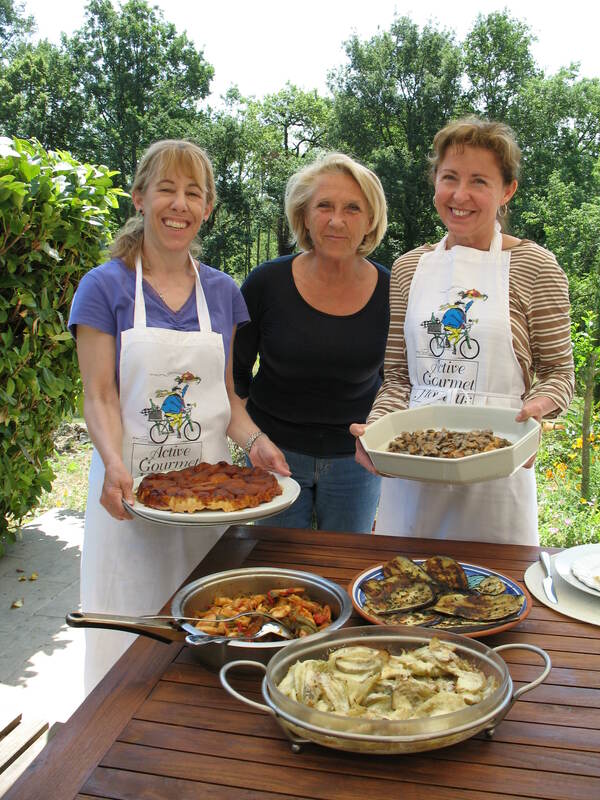 Just down the road at our farm, Bruno’s kitchen in 14th Century water mill (Le Moulin) is the perfect place to get together to cook. 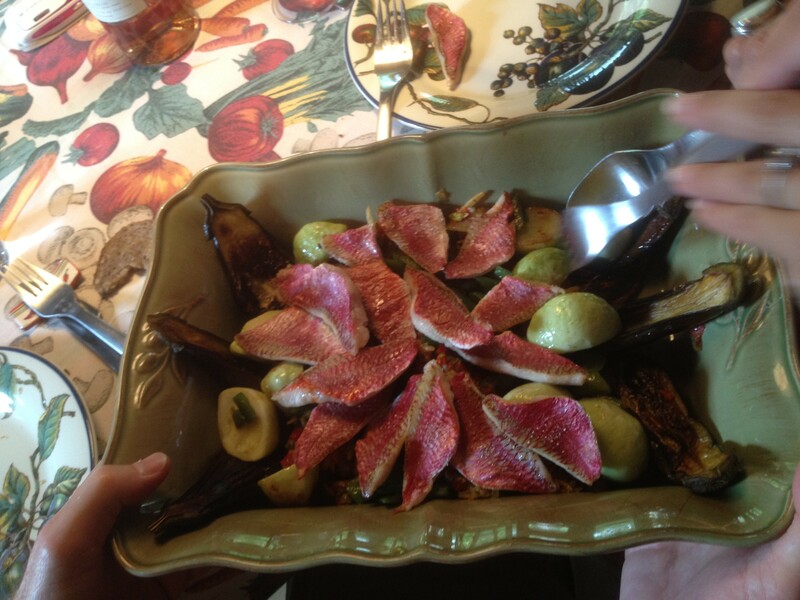 After a visit to the market in Libourne the menu was all fish this time…except for the desert. 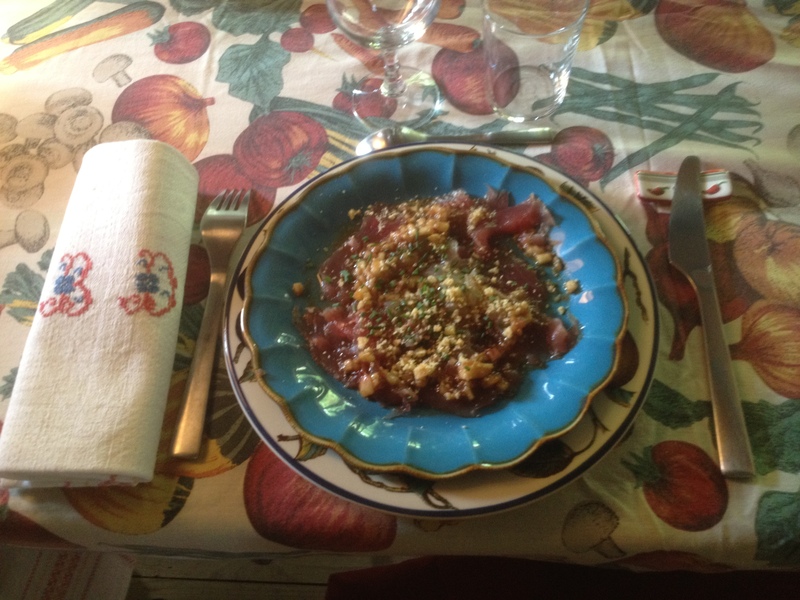 A carpaccio of tuna and cod with a parmasan topping for the sarter, red mulet on a bed of garden vegetables with egg plant, cheese then rasberries in a mint cream desert on a shortbread cookie. 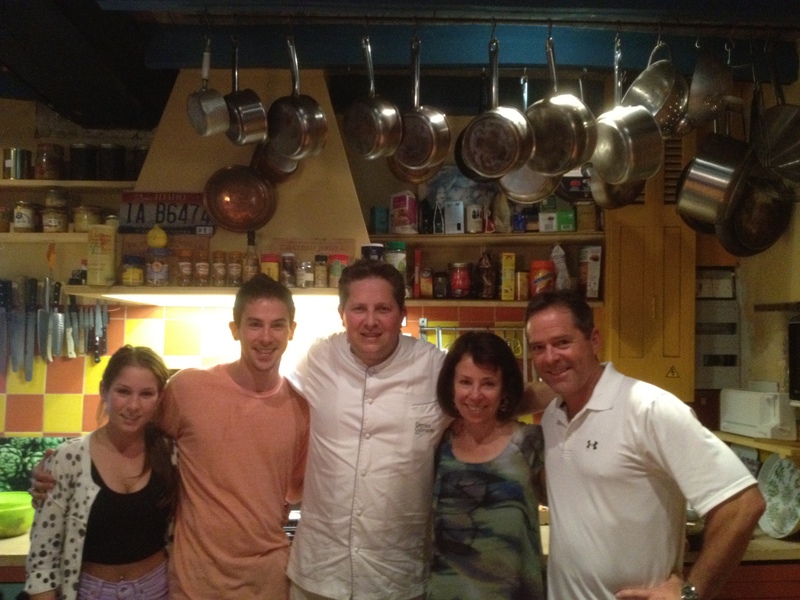 Everyone went home with the recipes and proud of their newly learned techniques from a “pro”: Chef Philippe Delobel. 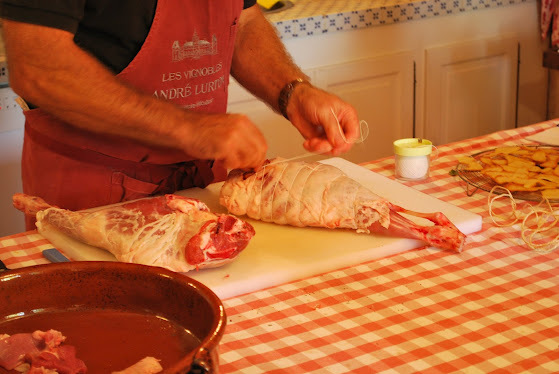 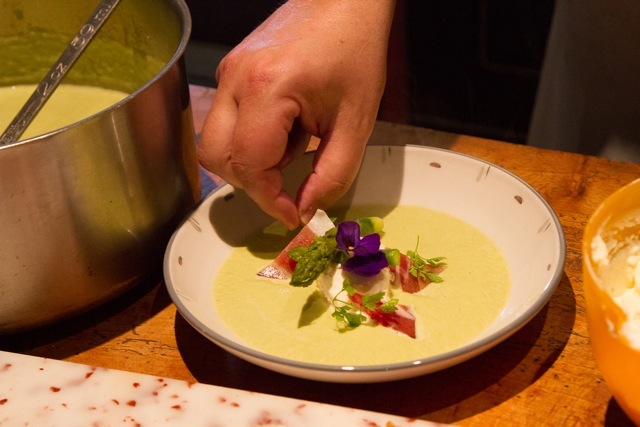 What better way to spend family time in France than cooking together under the instructions of a talented chef…who has worked in restaurants around the world and now during the school year teaches young future chefs in a professional lycéé.